The city of Paris is a top destination for travel to visitors from around the world. 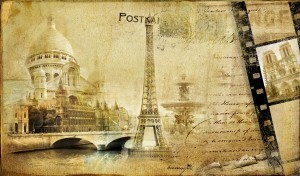 One of the most popular cities for travelers, Paris sees tens of millions from various countries each and every year. Though not cheap, generally speaking, the top sites and attractions represent some of the most influential times in history and are well worth exploring. Take a look at some top sites to visit on your Paris vacation. Though generally much busier in spring and summer, you are certainly guaranteed to see and experience the most variety in programming and shows as it is the busiest time. Plan accordingly and you should still be able to see and do all you want in this extraordinary destination. Foire du Trône, funfair – April 6th through June 3rd – Over 350 attractions and rides, the most popular funfair in France. Rather than taking a cab, spend time exploring the sites of Paris in a more creative or health conscious way. Take a stroll or perhaps rent a bike or roller blade and take advantage of the cycling routes throughout the city. Other forms of transport include the city options such as buses and shuttles however, you may want to take some time to explore the city via a boat on the river Seine. However you choose to explore the city, take advantage of the many sites and activities throughout the city, you will be glad you did. Tradewinds Vacations welcomes you to spend time learning and exploring the top destinations for travel and information to help you travel with us. Learn more about saving money, enhancing your vacation experience by being aware of your surroundings, what to do, what to avoid and more. Offering information and advice on travel, Tradewinds Vacations is here to help you. Get to know more about Tradewinds Vacations by visiting our members website at tradewindsvacations.net and find out how you can save more.